Nickel 201 Plate offers good resistance to corrosion in acids and alkalis and is most useful under reducing conditions. All hot working and cold working practices can be utilized when shaping Alloy 201 Plate. Due to its improved ductility and resistance to graphitisation this Nickel 201 Coil & Nickel 201 Clad Plate is used for caustic evaporators, combustion boats, plater bars and electrical components. Nickel 201 Strip is approved for service up to 1230° F. Melting point of Nickel 201 Shim & Nickel UNS N02201 Sheet is 2615-2635° F. Nickel Alloy 201 Plate is designated as UNS N02201 and Werkstoff Number 2.4068. Nickel 201 Foil & Nickel 201 Rolling Sheets can be cold formed by standards methods. Looking for best price of Nickel 201 Rolling Plate in India? We have no minimum footage requirements. We will supply the exact amount of Nickel 201 Flat Shim you require even if it’s small quantity of Alloy 201 Nickel Shim Stock. Contact Steel Tubes India- the right supplier of Nickel 201 Cold rolled Plate near you. Steel Tubes India offers one of the widest ranges of Alloy 201 sheet and Alloy 201 plate in various qualities, sizes and grades which are equivalent to Nickel 201 Sheet & Nickel 201 Plate (2mm to 12mm). Nickel 201 Sheet is available in thicknesses ranging from .016 to .156". Large size Nickel 201 plate will also diminish the size of the undesirable heat-affected zone caused by welding. 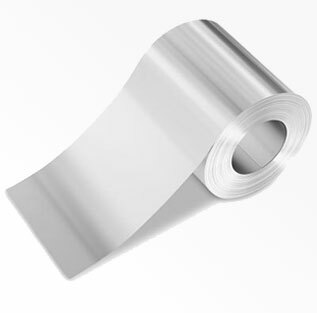 We also stock & supply extra large-size Nickel 201 Sheets, thin and ultra-thin gauge Nickel Alloy 201 strip and foil products, rolled down to 2 microns. Our Dealers & Distributors in UK, USA, Sweden, Israel, Germany, Russia, France, Italy, Canada, UAE, Saudi Arabia, Malaysia, Singapore, Oman, Kuwait, Qatar, Iran, Indonesia & Australia arrange complete range of Nickel 201 plates in shortest time as well at best price, because we maintain Nickel 201 Sheet in stock for sale, so it saves time & cost to procure any size range in ASTM B162 UNS N02201 from any other vendor or Manufacturer of mirror finish Nickel 201 plate in India. Superior technology as well as extensive quality control from steelmaking to finishing assure the stable production of Nickel 201 Hot Rolled Plates in uniformly of excellent quality. We apply the process of surface finishing to our Nickel 201 Polished Plate by pickling or buff-polishing. 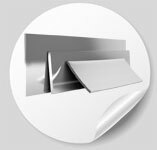 Nickel 201 Strips levels of finishing & cut can be adjusted according to your requirements. Nickel 201 Plate is available in the form of Sheet, Coils, Foils, Rolls, Plain Sheet, Shim Sheet, Strip, Flats, Clad Plate, Rolling Sheet, Flat Sheet, Rolling Plate and Flat Shim. The Nickel 201 Plate Weight Calculator allows you to calculate an estimate of the weight of different sizes of Nickel 201 plates based on dimensions and shape. Nickel 201 Shim is sold in either 300mm or 600mm rolls and sheet form. The thin material can be used in power plants, nuclear plants or gas and oil refineries. 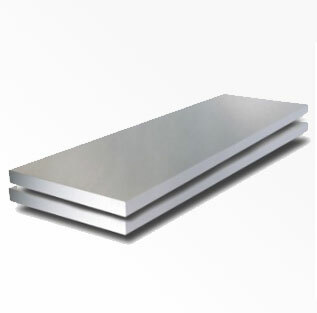 Looking to buy Stainless Steel Plate? Stainless Steel Sheet? 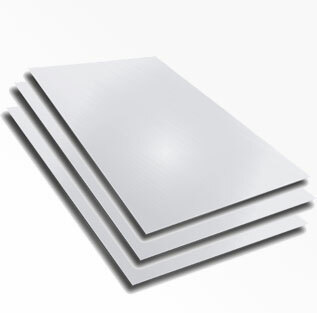 Nickel 201 Clad plate: Nickel 201 Clad plate is a composite steel plate made by bonding Nickel 201 plate, etc. Nickel 201 plate uses are numerous and it includes their use in various industries, processes and applications like food processing, petrochemical processing, fatty acids, defense, chemical processing and storage, electrical components, marine and water treatment, phosphorus oxychloride, rechargeable batteries, phosphorus trichloride, flowing seawater, combustion boats, neutral and reducing salt solutions, surgical equipment, sea water equipment, caustic evaporators, synthetic fiber production, fluorine and chlorine, aerospace, marine, plater bars, chlor-alkali production, etc. If thickness greater than 6.35 mm is called a Nickel 201 Plate. If thickness greater than 0.15 mm and less than 6.35mm is called a Nickel 201 Sheet. If thickness less than 0.15mm is then its a Nickel 201 Foil.